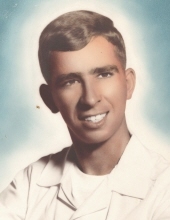 Tom Allen Hamilton, 71, of Herrin, passed away March 27, 2019 at Carbondale Memorial Hospital. Tom was a radio repairman for Collier County Sherriff’s Department. Tom was a member of the N.R.A. and I.D.P.A. He was an avid competition shooter. Tom was born September 2, 1947 in Herrin, IL to Thomas A. & Audrey F. (Russell) Hamilton. Tom married Linda C. England on November 26, 1969 in Hunting Park, CA. Surviving are his wife, Linda Hamilton of Herrin; father, Thomas Hamilton of Naples, FL; two sons and daughters-in-law, Dan & Sarah Hamilton of Naples, FL and Mike & Jera Hamilton of Naples, FL; three grandchildren, Katherine, Cole, and Jaycee; brother and sister-in-law, Glenn & Michelle Hamilton of Black Mountain, NC; aunt, Helen Hamilton of Herrin, IL; uncle, Donald Russell of Energy, IL; several nieces and nephews, and his favorite cousin Jody Deal. He is preceded in death by his mother, Audrey Hamilton. Services will be 11:00 a.m. Thursday, April 4, 2019 at Meredith-Waddell Funeral Home with Rev. Robert Jilek officiating. Interment will be at Egyptian Memorial Gardens in Energy. Visitation will be 10:00 a.m. – 11:00 a.m. Thursday at the funeral home. In lieu of flowers, memorial donations may be made to St. Francis Care Animal Shelter, 6228 Country Club Road, Murphysboro, IL 62966; envelopes will be available at the funeral home. To send flowers or a remembrance gift to the family of Tom A. Hamilton, please visit our Tribute Store. "Email Address" would like to share the life celebration of Tom A. Hamilton. Click on the "link" to go to share a favorite memory or leave a condolence message for the family.